There’s a host of forest trails for nature lovers to explore across India. Be it the striking Rhododendron Forest in Sikkim, the sacred Mawphlang Forest guarded by a local deity or the Gir Forest, which is the only habitat in the world for Asiatic lions, there are adventures and memories all waiting to happen at these 10 incredible forests in India. The Mawphlang Sacred Forest in the state of Meghalaya is said to be protected by a deity named Labasa. Locals say that if an object belonging to the forest, even a leaf or a tiny pebble, is removed, Labasa tends to get upset. It is believed that once, soldiers from the Indian Army took a log from the forest. But when they loaded their truck, the vehicle just wouldn’t start, so they had to put the log back in the forest. Mawphlang Sacred Forest is, therefore, enchanting not just for its beauty but also for its supernatural quality. Barsey Rhododendron Sanctuary is a forest in Sikkim, a small state in the north-east region of India. When the flowers are in full bloom, between late March and May, the sleepy forest suddenly becomes shrouded in stunning colours. The forest trail is ideal for short hikes as it can easily be completed under two hours and is not very challenging. Barsey is also the starting point for the popular Gorkhey-Phalut trek through the Singalila National Park in Darjeeling. Chokramudi is a peak located in the Western Ghats mountain range in the beautiful hill-station of Munnar in Kerala. While the view from Chokramudi Peak is breathtaking, the forest trail that takes you to the summit makes for an equally amazing experience. Along the way is a dense shola, which is a patch of stunted tropical forest found in the hills of South India. Watch out for rain as the rocky path tends to get slippery when it is wet. Andharban, which means dark forest, is another woodland worth visiting in the great Western Ghats. Monsoon season is the best time to enjoy this jungle trek near the city of Pune when the lush green forest has just been replenished by heavy rain. This unusual trail requires you to climb downhill for about three to four hours until you reach the heart of Andharban. Streams and cascading waterfalls dotting the thick forest all add to its charm. The forest trail at Kalatop-Khajjiar Sanctuary in Himachal Pradesh is perfect if you want to enjoy a leisurely hike. 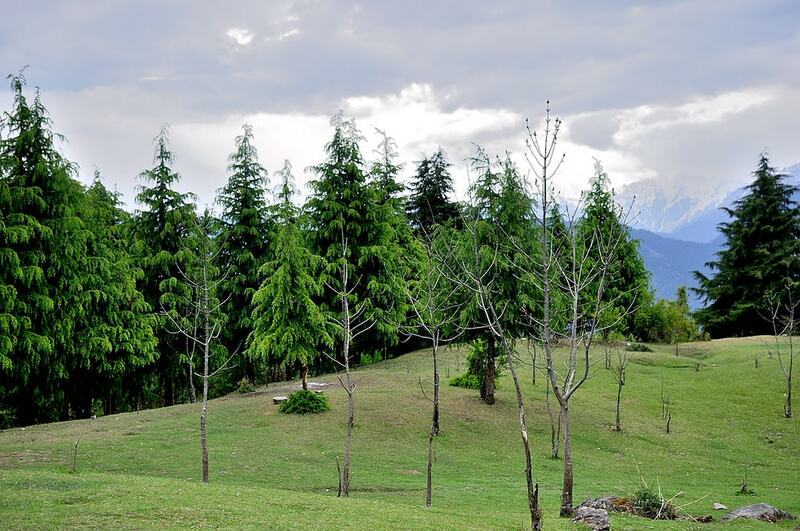 Pine, deodar and oak trees make up the forest, which is home to a number of flora and fauna, including Himalayan black bears, leopards, deer and gorals. There’s a sprawling meadow right in the middle of the sanctuary where wildflowers grow beautifully during the spring and summer seasons. The biodiversity-rich Anantagiri and Sunkarimetta Reserved Forest are both located in Araku Valley in Andhra Pradesh. You’ll come across more than a few waterfalls during a short trek through this forest area, where you can also visit the ancient Borra Caves, which have inspired many legends. A number of tribes reside in the valley and there’s a tribal museum dedicated to the natives. Since coffee plantation is rampant in the area, there’s also a coffee museum that you can visit here. 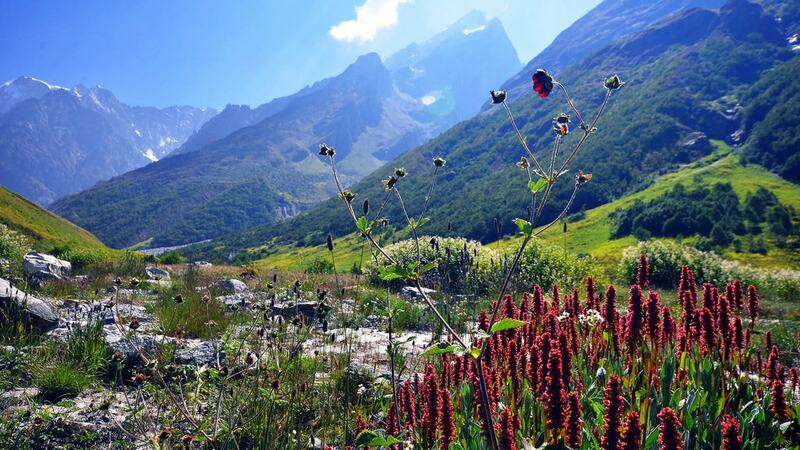 Valley of Flowers National Park is one of the most scenic spots in all of India. The best time to visit is in the month of June when flowers of all hues cloak the verdant meadows. The most common flowers found here are orchids, daisies, marigolds, poppies and primulas. The valley also hosts diverse species of medicinal plants, many of which are considered to be endangered. 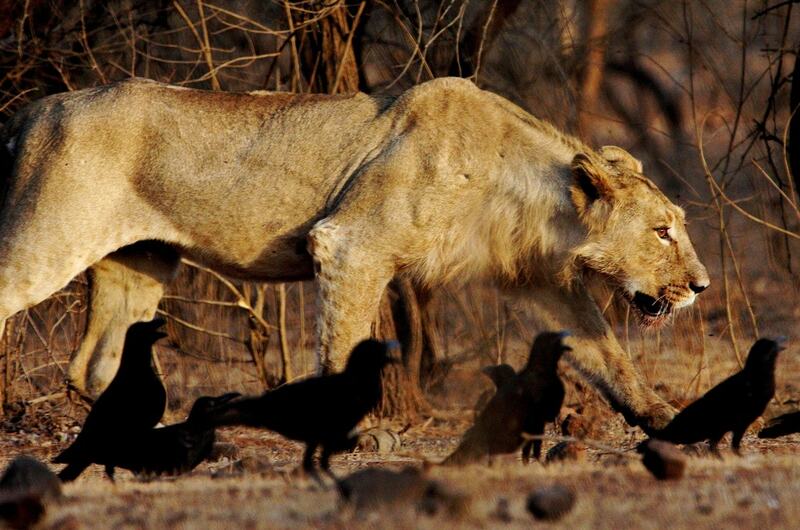 Gir Forest National Park in Gujarat is best known for being the residence of the mighty Asiatic lion. There was some good news last year when it was revealed that the population of the endangered species, who were found nowhere else in the world but Gir, had increased fourfold during the past five decades. Asiatic lions aren’t the only carnivores in this forest, which also harbours leopards, hyenas and golden jackals. During a safari tour of Gir Forest, it isn’t guaranteed that you’ll spot a lion but the excursion is still very rewarding. Deoria Tal is a lake situated at an altitude of about 8,000 feet and is believed by the Hindus to be the bathing place of the gods. To reach the lake, you have to trek across a thick, wooded forest. It’s a good idea to camp for the night in the jungle for a more wholesome experience. This part of the forest trail is lined with rhododendron trees, which bloom during the spring. 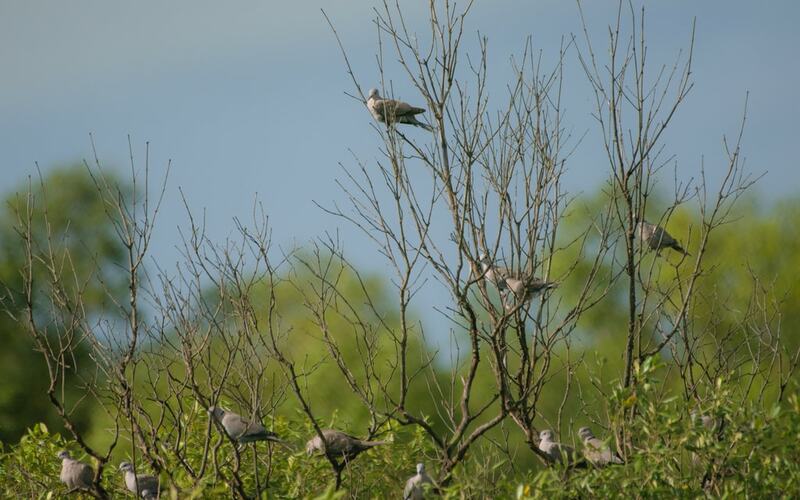 For bird watchers, especially, the hike up to Deoria Tal is full of excitement and surprises. Sundarbans National Park stretches across India and Bangladesh and is famous for its mangrove forest, which happens to be one of the largest of its kind in the world. The royal Bengal tiger and other threatened species, like the estuarine crocodile and the Indian python, call the Sunderbans home along with over 250 bird species. December to February is considered the ideal time to visit this UNESCO World Heritage Site.